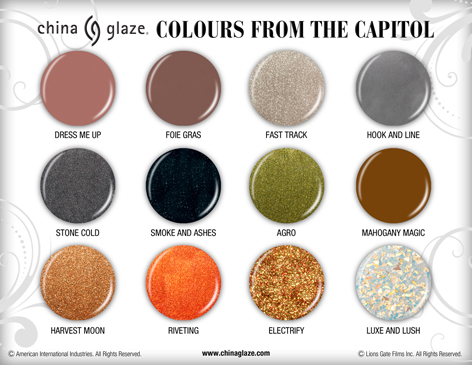 Capitol Farben Von China glaze. A new collection of Nail polish based on The Hunger Games. Wallpaper and background images in the Die Tribute von Panem club tagged: the hunger games movie. OMG now i wanna buy these nail polish colors... especially Dress Me Up, Fast Track, & Luxe and Lush!